Personalized learning is often seen as a luxury item in education. Sure, it’d be a nice thing to have but we often don’t have the time, resources or enough teachers to provide children with a personalized experience. There is certainly rationale to this argument, high student to teacher ratio is prominent across the world and every culture has its issues with gaining and retaining teachers in this tough economic climate. However, if we focus on the building blocks of personalized learning rather than the whole spectrum of ideals, we might find a simple solution to bring personalized learning to every classroom, and to every pupil. Mastery learning is the approach of focusing on making sure a child masters a certain area of a subject before moving on to the next stage. It’s how we traditionally learn subjects outside of school, such as musical instruments or dance, but within school walls, we are still forcing children to learn and then move on all together, even if a proportion of the class has started to fall behind. The problem with this approach is that if we force every child to carry on to the next level without truly grasping the fundamental principles of the subject, their foundation of knowledge will be compromised. It may not cause large problems straight away, but the further they delve into a subject the more apparent the gaps will appear to show. Much like a house built without a strong foundation, it will begin to crumble. What happens when these gaps become apparent? Bad grades, feeling lost in class discussions and a feeling of failure start to surround a child and this causes disengagement. At this point, a child may simply say that they’re bad at that subject, that they just don’t have a mathematical, scientific or literary brain. Of course, we all have our favourite subjects and ones we’re better at than others, but it’s simply wrong for a child to assume they can’t succeed in something. No one’s grades are imprinted in their DNA, we all have the potential to understand and grasp a subject to a certain degree, we just need to be taught it correctly at our own pace. Taking a mastery approach to education requires active participation on both sides of the classroom, both teachers and students. It will require students to have grit, perseverance and to take agency of their own learning. These are skills that every child needs to succeed in an uncertain future, such as the one facing today’s students, so it makes sense to incorporate this into schools through mastery learning. Mastery learning was first trialed at the beginning of creating a mass education system, and it was shown to vastly improve student’s grades, however, it was deemed at the time too impractical for teachers to carry out in a mass, standardized education system. However, things have changed drastically since then. With the aid of technology, we can give children different lessons, exams, and information to help them build their areas of knowledge where they may be lacking. The teacher’s role shifts from imparting knowledge to facilitating and guiding each student through the exercises that each child is completing, giving them the freedom to engage with each child. This style of classroom also allows children to engage more in group discussion and to learn through teaching and helping each other. By shaping the school day to focus students on areas they can improve on also helps children to reframe ‘failure’ in their eyes. It’s not a sign of their inadequacy, it’s showing them where there’s an opportunity to learn and how they can improve. Through shifting the feeling of failure to one of practical empowerment, with concrete steps on how to get better, we are showing children that failure is a natural part of life and how we need it in order to show us how we can proceed. It is not a term that remains with us indefinitely, it’s simply a part of life that helps us identify how to get better at something. Interestingly, some of the best examples of adapting education to suit a child’s needs come from some of the most challenging of circumstances in the world. In Colombia, high drop-out rates were the norm amongst school children, especially in rural areas. Enforcing a standardized education that was in line with the rest of the world simply wasn’t going to work, they had to create an educational system that fit in with the children’s schedules and needs. Escuela Nueva, which means ‘new school’ in Spanish, was developed to provide a newer, more contemporary way of educating that met the needs of the children in Colombia. Through rethinking learning and teaching methods, Escuela Nueva is an approach that makes sure no child is left behind due to a rigid education system that is not developed for the children it’s supposed to be educating. We had to modularise the curriculum and have learning guides (lesson plans with instructions for the children) so that children could work independently or in a group, so children can finish academic units at their own pace. 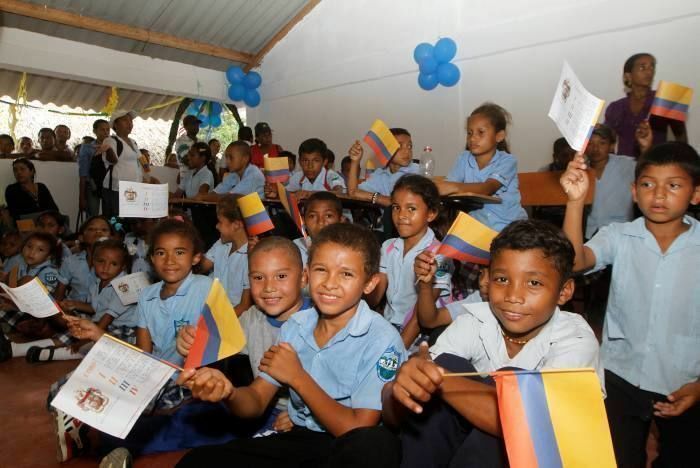 Through starting as a means of reaching the most marginalized children in Colombia, Escuela Nueva is now a large foundation that influences government policy in several developing nations. Though developed as a means to keep children in school and helping the most vulnerable children in our global society, every country can learn from Escuela Nueva’s approach. Personalizing education by meeting children where they are and not moving on until they understand the fundamentals of each subject, is the foundation of personalized education. Not every school has the resources to tailor the curriculum and approach to each individual child so they can follow their passions and receive the support needed to do so, although of course, this should be the goal for education in the future, but we can take steps to make sure mastery learning is the foundation of our classrooms. Policy makers and school leaders should be looking to successful approaches, such as Escuela Nueva’s, so they too can learn how to make this a reality for their pupils, so that no child resigns themselves to failure and no child is left behind. Explore Escuela Nueva's HundrED innovation page here!